BNA political affairs analyst writes holding parliamentary elections has been planned to be held on October 10 and this national program should be held in less than two months. However, in the existence of the current problems and challenges can one expect national wide transparent elections? Recently independent elections commission confirmed that parliamentary elections in Ghazni province due specific reasons would not be held. The commission since the beginning of its activities has faced unfavorable developments. A number of Ghazni residents, several months ago claimed that in previous elections all deputies of Ghazni were belonged to the same ethnic group or insisting on ethnical balance in the province and closed the local offices of the commission which faced the activities of the commission to many problems. Finally, it was decided the province to be divided in to three constituencies, the measure that has not taken account in any other provinces. This practice of the commission not only caused severe reaction in Ghazni, but in other provinces and accused the commission for creating discrimination among various ethnic groups, the accusation that rejected by the commission. 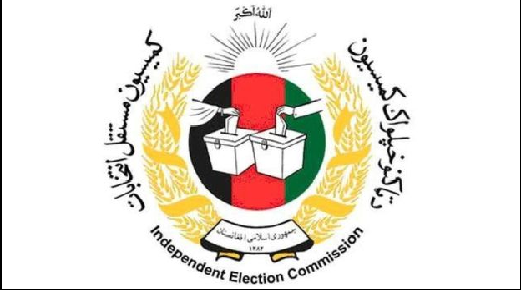 The independent election commission probles is not limited to Ghazni , the commission against all expectations delayed holding district councils due to insecurity in a number of districts and financial problems of the councils . Not holding districts councils’ elections created another gap, while the current problems in a number of districts are not new but previously existed. Problem of security and financial problems of districts councils were tangible from the beginning, but the commission started its work with hope and giving hope to the people, but now talks about not holding districts councils’ elections, where is the problem? Certainly, in wrong analysis and assessment of the relevant affairs and in hurry decisions or foreign circles pressures and dictation. On the other hand, the great national coalition of Afghanistan, consists of several political parties that emphasizes on improvement of electoral system, unveiled hundreds of thousands of faked identity cards through media. Meanwhile, the coalition claims that the figures presented by election commission regarding to registering the names of the voters are not valid and correct, but architected by the commission, even addressing the commission says they are seeking to hold one sided election in Afghanistan. Although the senior authorities of the commission talk about the transparency and reject the accusations and justify their activities but so far, they have not succeeded to satisfy the critics of the system, political elites and civil society activists. It should be recalled that the elections which were held during the last 17 years had lots of shortages and that reduced the trust of people to the election commission. The current problems refresh this viewpoint regarding to the commission unless the authorities of the commission truly respond to public opinions. The commission should try to reach a political understanding with its critics or bring forth an acceptable mechanism for holding the elections; otherwise the social gape becomes wider and will accelerate political tensions. Who are the Haqqanis, Afghanistan’s most feared insurgents?